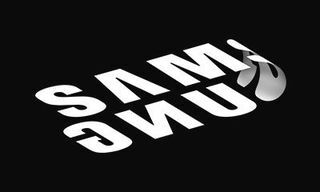 Following the debut of the Galaxy S10 and a new line of wearables, Samsung finally introduces the long-awaited Galaxy Fold. 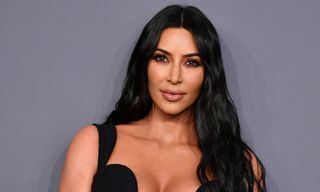 Highlighted by the world’s first (7.3-inch) Dynamic AMOLED Infinity Flex Display which folds into a compact device with a cover display, the Galaxy Fold also boasts Samsung’s most versatile camera yet. The device is essentially a smartphone and a tablet rolled into one. 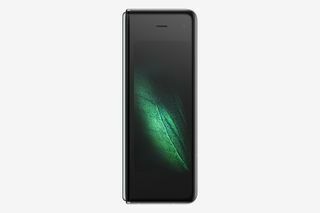 First off, the Fold’s internal display completely folds, as the display is 50 percent thinner than the typical smartphone display. 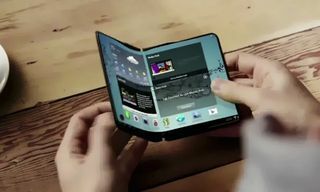 Samsung accomplished this by inventing a new polymer layer. 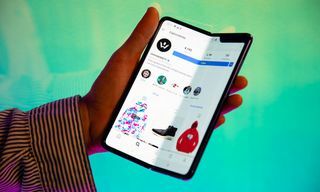 And while the Galaxy Fold is clearly flexible, it is also noticeably tough. By engineering a sophisticated hinge with multiple interlocking gears, the device opens and closes like a book. 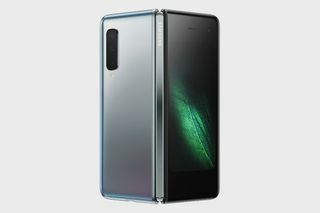 Finished in Space Silver, Cosmos Black, Martian Green and Astro Blue, the Galaxy Fold is unlocked by a fingerprint scanner found on the side of the device. You can launch up to three active apps simultaneously on the main display, meaning you can browse, text and work all at once. 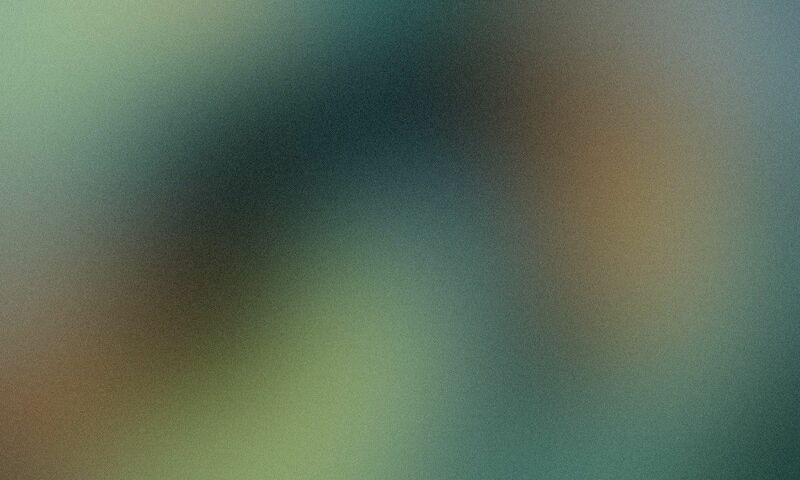 When you fold the device, apps that are open on one display will appear on the other. 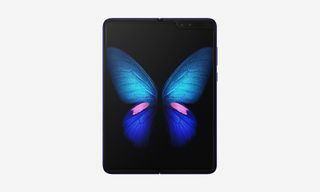 Samsung’s Galaxy Fold runs on a dual battery system, also featuring a next-generation AP chipset and 12GB of RAM. 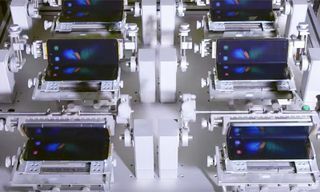 Similar to the Galaxy S10, the Fold can charge itself and a second device simultaneously using a single charger. To complement the Dynamic AMOLED display, the device offers clear sound by AKG with stereo speakers. 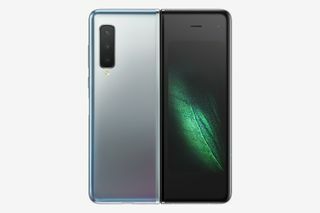 The Galaxy Fold camera system then includes six lenses: three in the back (16MP Ultra Wide Camera, 12MP Wide-angle Camera, 12MP Telephoto Camera), two on the inside (10MP Selfie Camera, 8MP RGB Depth Camera) and one on the cover (10MP Selfie Camera). 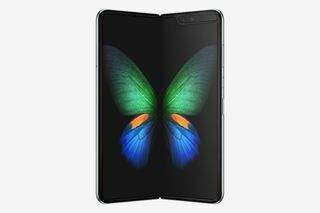 Lastly, the Galaxy Fold is compatible with Samsung’s personal assistant, Bixby, which is designed to anticipate your personal needs. 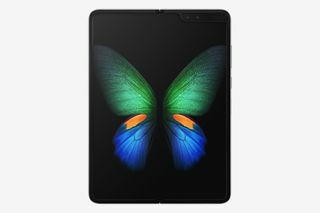 With a 7.3-inch main display and 4.6-inch cover display, the Samsung Galaxy Fold releases in 12GB or 512GB options in the second quarter of 2019, starting at $1,980.00.